• Building Jewish Life Beginnings: Students discover and explore Jewish holidays, the Jewish home, synagogue and the family. • Students learn Hebrew vocabulary related to the holidays, traditions and mitzvot. My Jewish Year: Celebrating Our Holidays: Through holiday study, students learn about their Jewish heritage. The story of each holiday is presented alongside the rituals, symbols, traditions, and legends that have grown around it. Students also learn the blessings and key vocabulary for each holiday. CHAI Curriculum Level 2: Enduring understanding for Avodah: Jewish stories, celebrations and rituals help me understand and express my relationship with God. Students learn Hebrew letters, vocabulary related to the holidays, traditions and mitzvot. Jewish music, liturgy, literature and Bible are also taught. Mitkadem Ramah2: Students learn Hebrew letters and vowels, decoding skills, and basic Hebrew ritual vocabulary. Students use a Hebrew Helper Kit along with their workbook for hands-on, experiential learning with flashcards, puzzles, and matching letter and sound tools. Yisrael Sheli –My Israel: People and Places: Students learn the story of the people who created the State of Israel and the story of the places in the Land of Israel. CHAI Curriculum Level 2: Enduring understanding for Torah: The laws and rules found in the Torah can help us to live a life filled with holy moments. Jewish music, liturgy (prayer), Jewish literature and Torah. Mitkadem Ramah 4, 7 & 8: Students learn to read and chant the Short Blessings, the Barchu, Yotzer Or, Ma’ariv Aravim, and the Ahavah Rabbah. Students also learn basic vocabulary, grammar and the meaning of these prayers. Welcome to Israel! : Students are introduced to Israel’s history, geography, and political, commercial and cultural life. Students learn about Israel’s struggle to coexist peacefully with its neighbors. They learn about Israelis their own age: what they do for fun, their favorite sports and foods, and what their schools are like. Enduring understanding for Torah: With the promise of a holy land (Eretz Yisrael), we as a holy people (Am Yisrael) have a responsibility to work towards becoming holy by observing the brit (covenant). 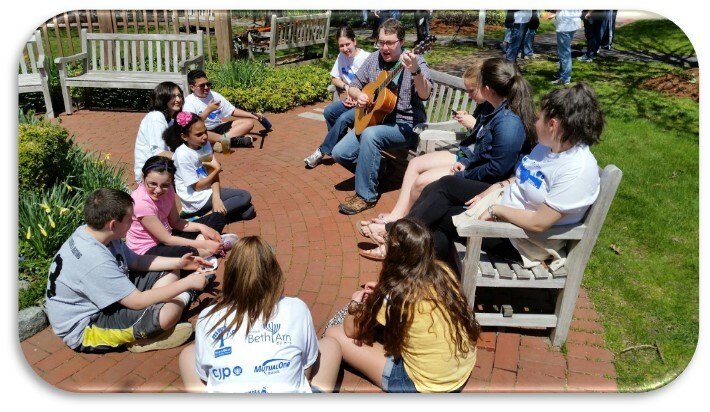 Enduring understanding for Avodah: Keva and kavanah, the fixed order of worship and the personal intention we bring to prayer, are complementary aspects of Jewish worship, combining to help us make sacred connections. Enduring understanding for G’milut Chasadim: We have a responsibility to perform acts of g’milut chasadim for the people we encounter in our daily lives. • Mitkadem Ramah 9, 11 & 12: Students learn to read and chant the Sh’ma, V’ahavta, Avot V’Imahot, and the G’vurot. Students also learn basic vocabulary, grammar and the meaning of these prayers. • Artzeinu-An Israel Encounter by Joel Lurie Grishaver and Josh Barkin: Students go beyond basic geography to learn experientially about Israel’s people, history and culture. • Rediscovering the Jewish Holidays: Tradition in Modern Voice by Nina Beth Cardin with Gila Gevirtz: Students focus on Judaism’s core truths and values while learning to understand the dynamic nature of our tradition. Interesting facts about customs in different Jewish communities help students appreciate our tradition of diversity. 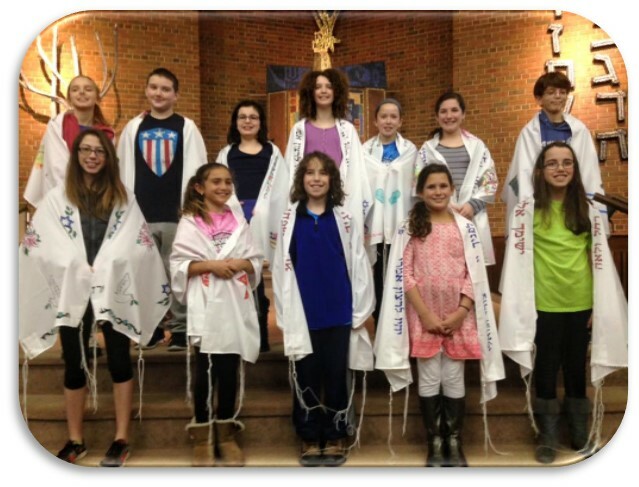 Students discover the sustaining values that are the foundation of Judaism, as well as the creativity and holiness with which they can enrich our tradition. Portraits of the many ways in which our tradition has evolved, and continues to evolve, inspire students’ perceptions of liberal Judaism as authentic Judaism. Enduring understanding for Torah: The prophets were focused on reminding the Jewish people how God wants us to live, and that their messages are at the heart of Reform Judaism. Enduring understanding for Avodah: The practice of prayer can help me grow through personal reflection, can increase my connection to the Jewish people, and can strengthen my relationship with God. Enduring understanding for G’milut Chasadim: We are all part of K’lal Yisrael and have a responsibility to actively support and sustain the Jewish community through acts of g’milut chasadim. Mitkadem Ramah 5, 6 & 19: Students learn to read and chant the Kiddush, Torah Blessings, and Haftarah Blessing. Students also learn basic vocabulary, grammar and the meaning of these prayers. Experience Modern Israel by Aviva Werner: Students are immersed in all aspects of Israel today, from food to the arts, the environment, technological innovation, politics, and security. Students meet the diverse people who live there, debate Israel’s responses to its challenges, and begin to develop a personal relationship with the Jewish homeland. Enduring understanding for Torah: Studying Jewish texts allows us to explore our relationship with God and reflect on the ways God is continuously revealed to others and to ourselves. Enduring understanding for Avodah: Avodah is the work we do, by exploring our personal and communal role in Revelation, to find sacred connections to God, community and self. Enduring understanding for G’milut Chasadim: We can experience God in our world, in others and within ourselves by engaging in acts of g’milut chasadim. ewish music, liturgy (prayer), Jewish literature and Bible are all taught. • B’nai Mitzvah Preparation: Students participate in B’nai Mitzvah preparation with Rabbi Rossoff. Placement in B’nai Mitzvah Preparation is determined solely by the student’s Bar/Bat Mitzvah date. Students rotate in and out of these classes throughout the year. • Eizehu Gibor – Living Jewish Values: Students learn about Jewish values through the lives of real heroes who live them. Students are challenged to apply Jewish values to their own lives. • Jewish music, liturgy (prayer), Jewish literature and Torah.